Nurse Coaching has become even more rewarding since I added a certificate in Advanced Clinical Nutrition in an Integrative Nurse Coaching Practice from the partnership between the International Nurse Coach Association (INCA) and the Institute for Functional Medicine (IFM). The education I assimilated, helped me implement solid, evidence and science based nutrition tools and Nurse Coaching into my practice. I now have the science-based ability to compliment nurse coaching skills with nutrition and food plans to enhance outcomes in my clients and it feels wonderful to witness their successes! One client’s triumph stands out for me. Erika (who gave me permission to share this) reached out to me hoping to glean ideas on how to lose weight for a company-based-weight loss challenge. The winner would get $1000. She had 30 days, but admitted she was missing solid information and wanted to lose weight safely, healthily, and without supplements. Erika shared she felt tired, irritable, emotional, and sluggish, had abdominal fat that made her self-conscious, gurgling and bloating in her belly after some foods and a general sense of not feeling as healthy as she wanted. She mentioned having to “fight hard to feel happy”, and wished her emotions were better controlled. These are feelings many of my clients express. Erika was certainly not alone. After discussing her desires, dreams and needs, we determined that the IFM’s Elimination Food Plan would be the beginning of her journey. The IFM’s Elimination Food Plan seeks to determine food sensitivities by taking away high sensitivity foods (corn, dairy, eggs, gluten grains, white sugar, shellfish, soy, beef, pork, processed meats, coffee, tea, chocolate and alcohol) for 21 days, and then re-introducing them one by one to see how the body, mind and spirit respond. Benefits of this food plan include inflammation reduction, intestinal permeability repair, toxic burden reduction, promotion of body awareness, identification of food triggers, and use of phytonutrients to heal the gut, no calorie restrictions and a personalized diet approach. 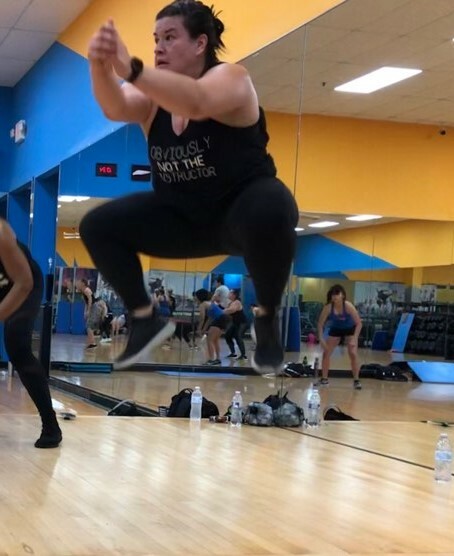 ERIKA LOST 19 POUNDS and WON! After 30 days, Erika lost 19 pounds and won her competition! She also recognized that certain foods were causing her negative symptoms and can now control whether or not she eats those foods. The information is powerful! The combination of Nurse Coaching alongside a science-based Elimination Food Plan improved Erika’s success. Our partnership encouraged her self-expression, self-determination, self-worth and self-success! In Erika’s own words, “The elimination diet was a big eye opener about how much our food really affects our bodies, it made me realize how dangerous our processed foods are. It was so easy to follow and I really enjoyed learning and trying new foods and creating new recipes, and the kids loved to eat the new diet too! I felt much more energetic, had less headaches and mood swings and even more clarity in thinking and an all-around more balanced sensation. The hardest part was the first few days, going through “withdrawals”. I dealt with emotional outbursts, migraines, confusion and sluggish feelings. Then it all went away. The Elimination Food Plan is a good beginning for understanding how food affects your whole being. This food plan has clear guidelines, and is a short term plan, that offers information to kick start you towards better health, more energy and vitality. It helps improve self-awareness to how foods influence your body, mind and spirit and brings full awareness that we are connected to so much more than just food. If you are interested in re-setting your health, pick up a book on the Elimination Food Plan, or if you’d like to do this food plan with others, then join us in our next Online Group Elimination Food Plan, as we lead you through the plan as a supportive and fun group. Nicole Vienneau MSN, RN, NC-BC has been a registered nurse for 20+ years, is a board-certified integrative nurse coach, personal trainer, group fitness and yoga instructor, faculty with the International Nurse Coach Association and founder of Blue Monarch Health, PLLC. She specializes in the prevention of brain and heart disease by partnering with clients to uncover their wisdom and enhance their health. Nicole is a passionate Nurse advocate who strives to transform healthcare through nurse coaching. She loves exploring nature, finding solace with her cats and traveling with her awesome husband.